Stefanie Dehnen is Professor of Inorganic Chemistry and Director of the Scientific Center of Materials Science at Philipps University Marburg. Her research interests revolve around the synthesis, formation mechanisms, and physical properties of compounds and materials with binary and ternary chalcogenidometalate anions, organotetrel chalcogenide compounds, binary Zintl anions, and ternary intermetalloid clusters. Professor Dehnen obtained her diploma in 1993 and her doctoral degree in 1996 from the University of Karlsruhe under the supervision of Dieter Fenske on experimental and theoretical investigations of copper sulfide and selenide clusters. After a postdoctoral stay with Reinhart Ahlrichs in the Theoretical Chemistry Department at Karlsruhe, she completed her Habilitation at Karlsruhe in 2004, investigating the chemistry of chalcogenostannate salts. 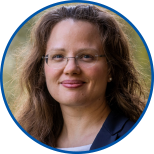 Among her professional honors, Professor Dehnen was awarded the 2004 Wöhler Young Scientists Award from the German Chemical Society (GDCh) and a 2005 Heisenberg Fellowship from the German Research Foundation (DFG). From 2016 she has been an elected member of the Göttingen Academy of Sciences and Humanities and the Academy of Sciences and Literature, Mainz. Professor Dehnen is currently an elected member of the GDCh Board of the Division for Inorganic Chemistry and the DFG Review Board for Molecular Chemistry. When not thinking about chemistry, Professor Dehnen is an accomplished violinist and enjoys time with her family. Kathrin H. Hopmann is a Research Scientist at UiT—The Arctic University of Norway with an expertise in computational modeling of chemical reactions. 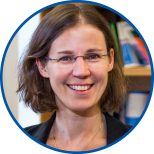 She received an undergraduate degree in chemistry at Aarhus University in 2002 and her Ph.D. at KTH—Royal Institute of Technology in 2008, working on quantum chemical modeling of nitrile hydratases and epoxide-transforming enzymes. Following postdoctoral work on modeling of bioinorganic complexes at UiT, she became a researcher there in 2011 and was later appointed to the faculty as Associate Professor in Computational Chemistry. Her group applies computational and experimental tools to elucidate the mechanistic intricacies of chemical reactions, with a focus on the factors that govern the activity and selectivity of transition-metal-catalyzed transformations. Assoc. Professor Hopmann spends her free time with her two children, with whom she lives on a beautiful island above the Arctic Circle, she relates, where the sun never sets in summer and never rises in winter, though this is compensated for by the dancing Northern Lights in the sky. 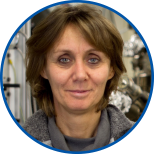 Roberta Sessoli is Professor of Chemistry in the Laboratory of Molecular Magnetism at the University of Florence. With a background in coordination chemistry, she has been a pioneer in the field of magnetic bistability at the molecular level in single-molecule magnets. Other fields of interest include magnetism of lanthanides and the organization of molecules in hybrid architectures. She often collaborates with chemists and physicists to develop novel materials and investigation methodologies. Professor Sessoli obtained her Ph.D. in Chemistry in 1992 at the University of Florence working on low dimensional molecular magnetic materials with Professor Dante Gatteschi and performing part of her studies at the Institute of Fundamental Electronics at the University of Paris South with Dr. Jean-Pierre Renard. She joined the University of Florence as an Associate Professor in 2000 and became Full Professor in 2012. Professor Sessoli is a research associate of CNR-ICCOM and a member of Academia Europea and the Italian Accademia dei Lincei. She has been awarded a visiting professorship at Gutenberg University in Mainz (2018-2019) and is a member of the Scientific Council of the Italian Chemical Society. For her scientific achievements, Professor Sessoli has been selected as a member of the Science & Technology Advisory Council of the President of the European Commission (2013-2014), and she has received the IUPAC Distinguished Woman in Chemistry Award (2015), the Lecoq de Boisbaudran Award from the European Rare Earths Society (2015), and the Agilent Technologies Europhysics Prize (2002). In her spare time away from the lab, she likes reading and enjoys running.